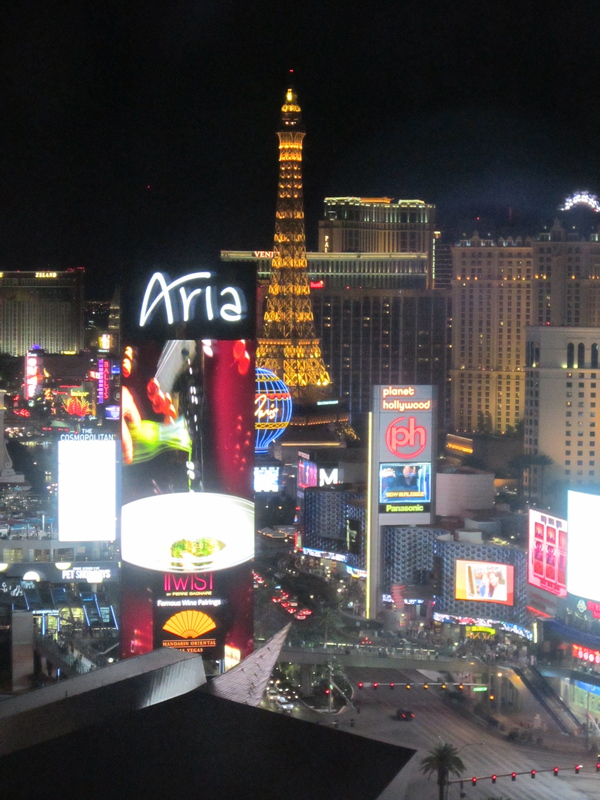 Las Vegas….Sin City….Entertainment Capital of the World…..whenever it’s mentioned it evokes strong emotions. People either really love it or really hate it. I’ve heard people make statements like, “I don’t like Las Vegas because it’s so smoky”, or “I don’t like Las Vegas because I don’t gamble”. Apparently they believe that smoking and gambling are all that Vegas has to offer. They couldn’t be more wrong. I happen to be one of those who really love that city – especially the Strip. I’ve been going there for the last 26 years and often go several times each year. I’ve watched the Strip reinvent and redefine itself continuously. Believe me, there’s much more to do than smoke and gamble. If there ever was a foodie’s paradise, Vegas is it. Gone are the days of the cheap buffets and $2.99 breakfasts. Many of the world’s top celebrity chefs have opened restaurants in the major hotels and they offer world-class dining experiences. That list includes Joel Roubuchon, Gordon Ramsay, Wolfgang Puck, Giada De Laurentis, Emeril Lagasse, Mario Batali and Bobby Flay. Many of them have more than one, and they offer a variety of dining experiences. For an unforgettable French dining experience I recommend Joel Robuchon, a 3 Michelin star restaurant located inside of the MGM Grand hotel/casino. 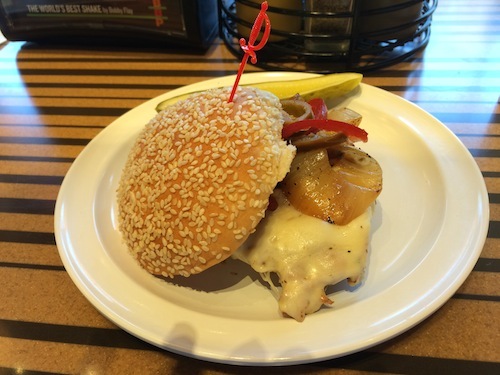 On the other hand, if all you really want is a hamburger, you can’t go wrong with Bobby Flay’s Burger Palace. Located right on the Strip in front of the City Center, I discovered this gem during a recent stay at the Mandarin Oriental Hotel. The burgers were so good that I had to eat there twice. Even the service was exceptional; I’ve never been served so well in a casual dining establishment. 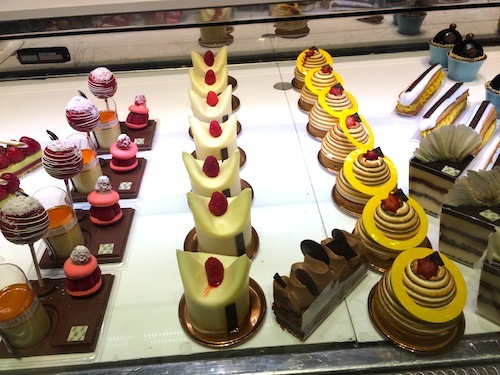 If you have a sweet tooth I highly recommend Buddy V’s at the Palazzo and Jean Philippe at Aria. 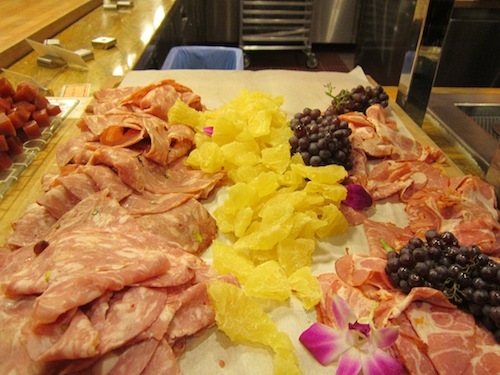 The Las Vegas buffet scene is still alive and well and I’ve had some unbelievably delicious buffet experiences at Bacchanal (Caesar’s Palace), The Wynn Buffet and The Wicked Spoon (Cosmopolitan). Many of the world’s top designers have opened shops in the major resorts and shopping centers like Crystals in the City Center and the Grand Canal Shoppes at the Venetian. Chanel, Gucci, Louis Vuitton, Fendi, Jimmy Choo, Christian Louboutin, and Prada are just a few of the shops that I visit when I need to get some “retail therapy”. 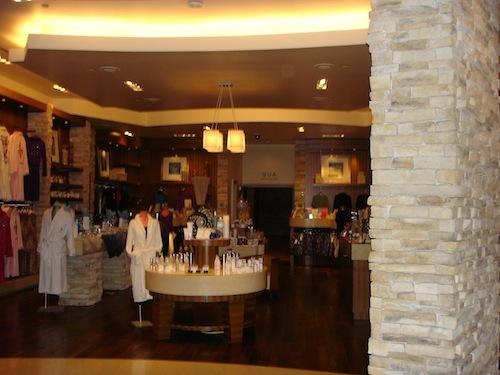 The Fashion Show Mall has more than 250 stores and offers a nice shopping experience. 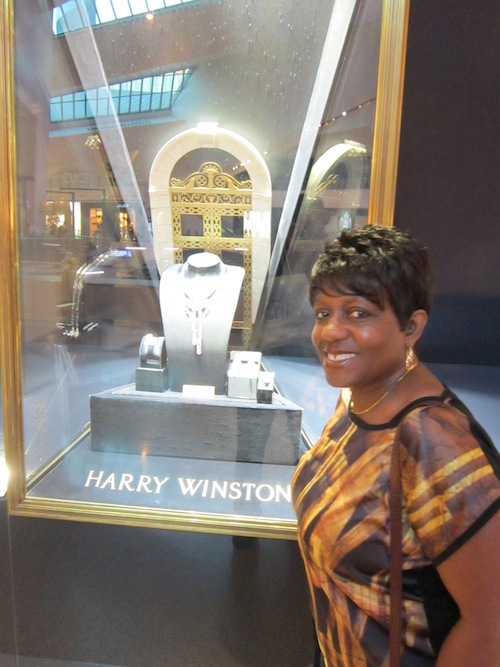 For discounts and deals I always visit the Las Vegas Premium Outlets or take a drive out to the Primm Outlets. At just slightly over 4 miles long, the Strip has more entertainment venues than anywhere else that I can think of. 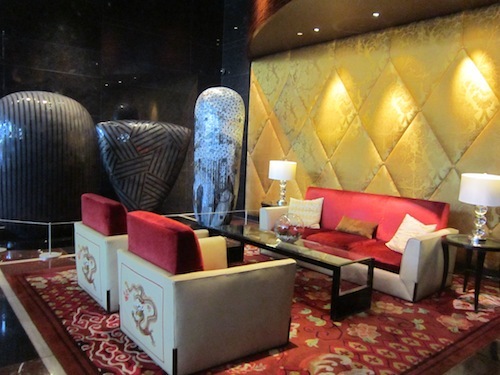 It has always been home to world-famous entertainers, showrooms and lounges. But today’s choices are absolutely mind boggling. In addition to the world-famous headliners, there are several Cirque du Soleil shows, magic shows, comedians, burlesque shows and so much more. 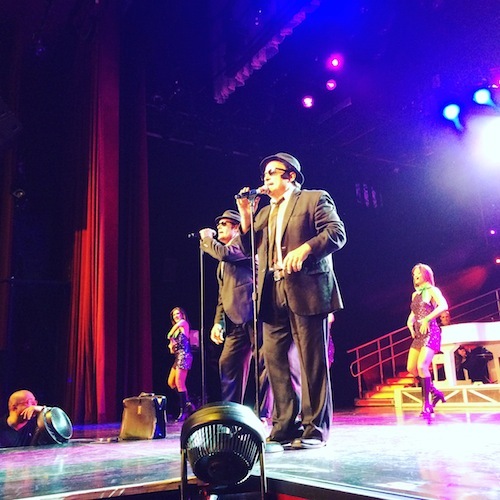 During my recent trip I went to see Legends in Concert, one of the longest running hit shows where the super-talented cast members play well-known entertainers like Prince, Lady Gaga and Whitney Houston. It was great! The nightclub scene is phenomenal and some of the resorts even have day clubs. Marquee Day Club at the Cosmopolitan had a very long line….at noon. It spans 22,000 square-feet and boasts two pools, several bars and a gaming area. Programming throughout the season is highlighted by Marquee Nightclub & Dayclub resident DJs encompassing the world’s premier electronic music talent. You can always find discount (often half price) show tickets at one of the many Tix4Tonight locations. For those seeking action or adventure, there are lots of choices. Las Vegas Valley has golf courses and packages for every skill level. You can take a flying leap at Vegas Indoor Skydiving. You can satisfy your need for speed by taking a spin around a racetrack in an exotic car like a Ferrari 488 GTTS or a McLaren 570S. You can soar above the Strip in a helicopter, or fly to the Grand Canyon. Amusement park lovers have a variety of attractions to choose from. 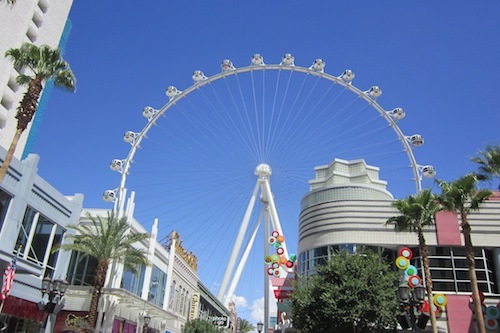 The High Roller at the Linq, a 550-foot tall observation wheel (similar to the London Eye) allows riders to enjoy the view of Las Vegas in comfortable glass-enclosed cabins. You can even have open bar. The Roller Coaster on top of the New York-New York Hotel & Casino features towering drops, multiple loops and stunning views of the Strip. When it was first built I agreed to ride it with my son. From the ground it didn’t look too rough…boy was I wrong. That was one hair-raising ride! If you really need a dose of adrenaline, go to the Stratosphere to try the world’s highest thrill rides. All rides are at the top of the Stratosphere Tower, over 900 feet high. The four extreme thrill rides are The Sky Jump, the Big Shot, the X Scream, and Insanity. Spas in Las Vegas offer a variety of specialty treatments and wellness services that aren’t offered in your neighborhood back home. Some of my favorite places to be pampered are Spa Mandalay (Mandalay Bay Hotel), the Mandarin Oriental Spa, and Qua Roman Baths and Spa at Caesars Palace. Downtown Las Vegas is home to the Fremont Street experience a pedestrian mall covered by a barrel vault canopy where light and sound shows are presented nightly beginning at dusk on the Viva Vision video screen. For a real rush, try the Slotzilla Zip line experience. If you happen to blow your budget before you leave, not to worry. There are plenty of free attractions to enjoy. The Bellagio Conservatory is a beautiful place to enjoy elegant arrangements of plants and flowers. Circus, Circus has free shows featuring jugglers, unicyclists, trapeze artists and acrobats perform death-defying stunts and exciting acts every half-hour at the World’s Largest Permanent Circus. One of my favorites is the free Fall of Atlantis fountain show that entertains audiences with special effects and animatronic figures who recount the myth of Atlantis. I especially enjoy watching the Fountains at Bellagio, a combination of music, water and light; it is a spectacular audiovisual performance with its majestic fountains. Hotel/resort choices are many and there are options for every budget. 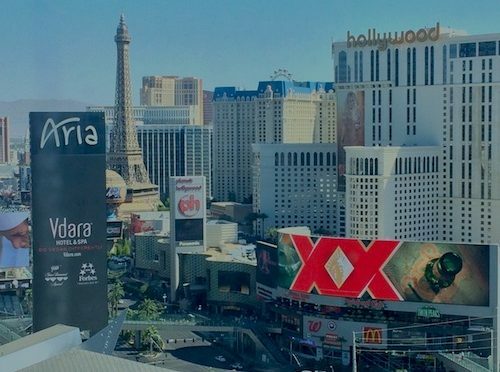 During my 26 year love affair with Las Vegas I have stayed at most of the major resorts on the Strip and each one delivers a unique, experience. I have several preferred properties, and my newest is the Mandarin Oriental. It offers a 5-star luxury experience in a non-smoking, non-gaming environment. It is an oasis of tranquility in the middle of the non-stop energy of the Strip. Whatever your preference, Las Vegas is what you make it – and you can do it your way.